Mike conceived Little Snort to charm and entertain the crowds at the PNE Agrodome in 1998. 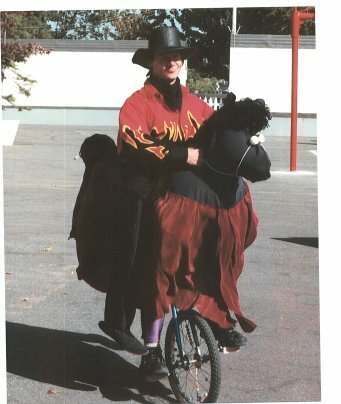 Snort holds the honour of being the only nearsighted unicycle-propelled horse in the world! Little Snort is sure to gallop his way into your heart but mind he doesn't nibble on your new sweater in his endless search for treats. This roving horse with rider Mike Battie is guaranteed to bring a smile to your lips and promises not to make a mess on your floor!